Yellow Archangel Lamium (Lamium galeobdolon) groundcover for the shade is one of the most agressive groundcovers in zone 7. This perennial groundcover will grow in part shade to full shade in dry areas in zones 4-9 and will take hold and not let go. It is also semi-evergreen here in zone 7 with some die back in winter. However, once spring comes the Yellow Archangel Lamium takes off spreading like wildfire. This patch is actually climbing over a pile of rotting sticks, logs, and debris! The long stems of Yellow Archangel Lamium grow along the ground rooting and spreading up and over any obstacle in its path. The dry soil under trees and in wooded areas makes a perfect home for this invasive beauty. In April (here in my area Southeast Virginia zone 7), the yellow flowers and the variegated leaves really are pretty… but do not be taken in by this beauty. I did and for 7 years have been fighting this off in backyard garden and wooded area behind my property. Yellow Archangel Lamium works well in large pots and even hanging baskets if you keep it trimmed. To be honest, I go out and dig up a plant and pot it up if I have an empty pot but I try to remember to keep it trim so the stems do not touch the ground (or they will root). The height of the Lamium varies because in the spring with the blooms it appears more upright and about 12-16+” tall but the long stems can reach longer than 2′. This invasive plant is hard to eradicate and pulling the plant out and not getting all the roots will only slow it down. I know this is a pretty plant but be cautious if you decide to plant it, please! You will have to keep it trimmed and in its place or it will creep on in to your yard and to your flower beds and choke anything else out. 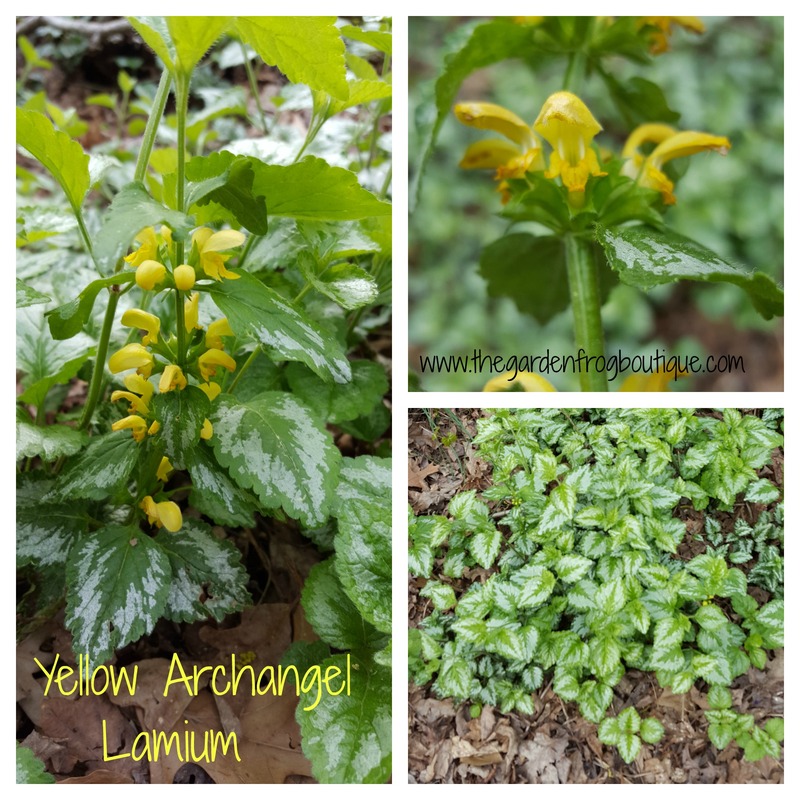 Yellow Archangel Lamium grows in zones 4-9 and blooms in the spring and grows in dry shade in any soil. Thanks for stopping by and watch for more gardening tips. If you ever have a question, feel free to contact me. I also want to stress the importance of knowing what you are planting in your garden! Just because the garden centers sell some of these invasive groundcovers, does not mean it should be bought and planted. 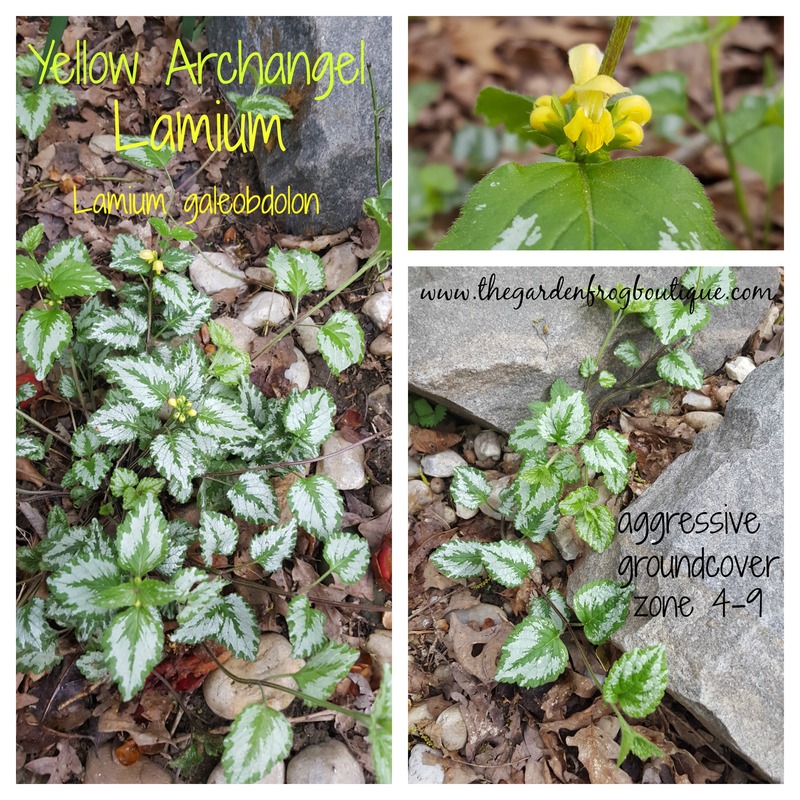 Can you control a groundcover? I write about and you can decide for yourself. Happy gardening. Nice article and beautiful photos. 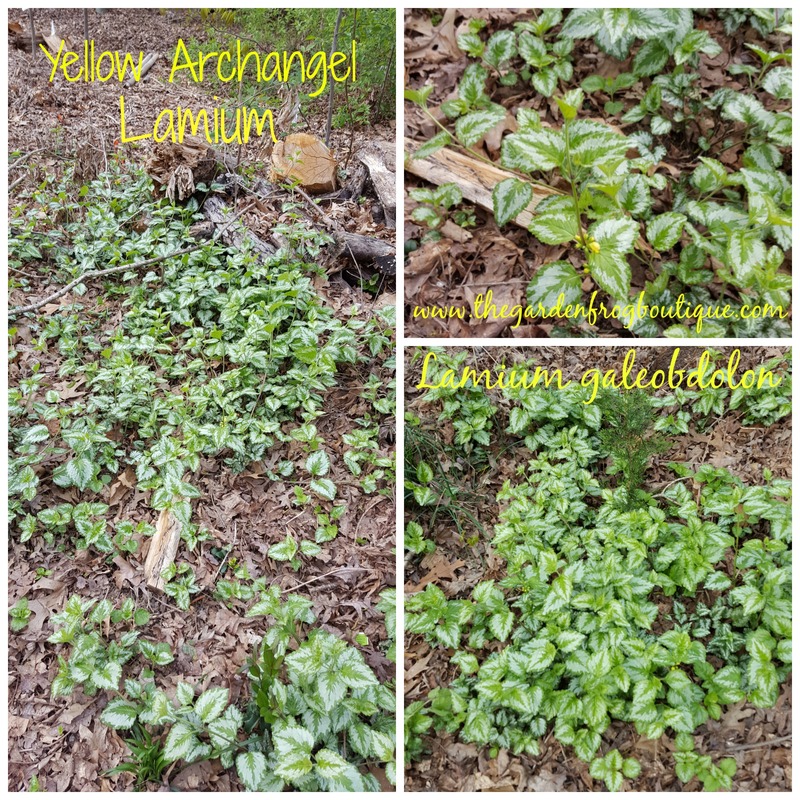 I recently obtained some of this groundcover and am trying to make a go of it in a shady spot with clay soil. I’m relying on its hardiness and its likeliness to spread. It’s in a bed where if it takes over, it will be just fine. It has no preference and by the end of summer it will spread. Just move the stems to reach around to spread in the directions you want it to go. A neighbor had a barren hard spot where nothing would grow and this spring it has almost filled it in (a year later) a 10×10 spot with 6 plants! OH and thank you!